The paperwork for a home sale is not nearly as straightforward as a seller might expect. 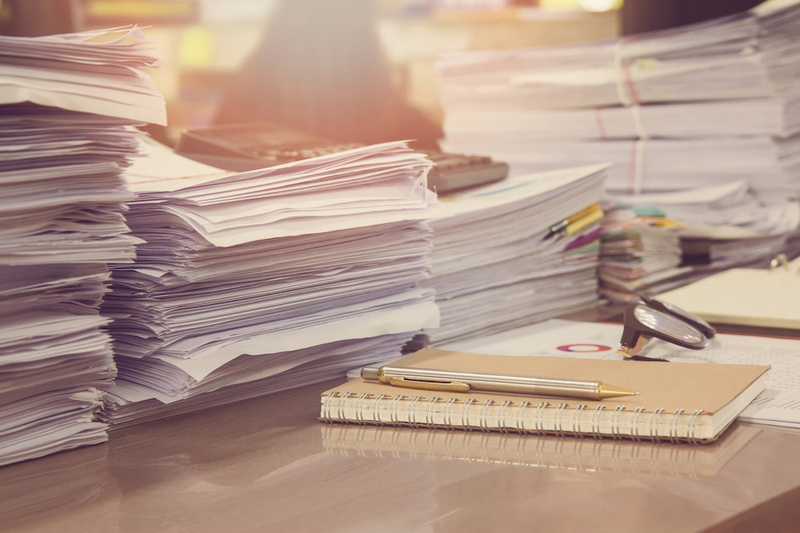 This isn't just because real estate agents need something to do, but because life gets messy and the paperwork ends up reflecting the complexities. Having a good real estate agent is usually the best way to avoid mistakes and delays, but it helps to understand more about the process before putting a home up on the market. This list will give you a general overview of the types of documents a home sale will need, but specific laws vary depending on the state your home is located in. Sometimes called the Seller's Affidavit or General Title Affidavit, this document will give the buyer information about the state of ownership of the home. Usually, the affidavit will disclose major problems with the actual home (e.g., mold or insect infestation), as well as any conflicts that might affect the buyer in the future. Liens against the home or outstanding contracts will need to be listed, as well as all known disputes about the property lines of the land (e.g., if a neighbor contests the division of the lawn.) Buyers generally use this as extra insurance if they doubt the authenticity of the home deed in your San Rafael home. Seller's transfer control of the property with the help of the deed for the home. It's given directly to the purchaser and states that the buyer has full control of the house. Once the buyer has it, it's their responsibility to ensure the terms and details are correct. Deeds can be delivered to individual buyers, a trust, or joint tenants. After all signatures are in order, it goes straight to the county recorder. In theory, the deed makes it more difficult for a property dispute to take place because the chain of title is clearly mapped out. Closing documents usually reiterate the above information but may include additional details about the seller. Anything that may interfere with the state of the property needs to be disclosed, such as the marital status or financial data about the seller. So if an ex-spouse trespasses on the buyer's property after the sale and claims the land is theirs, the buyer will be able to use the closing paperwork in addition to the above paperwork to prove the validity of the sale. Before rushing through the closing documents, sellers should examine the tax implications and home sale price before signing. Any discrepancy will need to be worked out before the official transfer of property. The commitment is a document that may be required by the title company, depending on the state of ownership for the property and the financial status of the seller. It's similar to the seller's affidavit and needs to list any outstanding liens or property disputes to the land. The escrow paperwork and the title need to match exactly, otherwise the sale may be delayed. In addition, certain jurisdictions may require all the taxes to be calculated at the time of the sale between both the buyer and the seller. Both parties need to officially agree to the price and taxes before moving forward with the official transfer. Sellers are not encouraged to make last-minute changes for any reason—even if the buyer is getting cold feet. When a seller backs down to make even a tiny change to the sale, it usually causes major delays.